Driving on motorways can be stressful at the best of times so we asked Simon Ackers, CEO of Warranty Direct, for his top tips to help motorists feel more confident on the open road, particularly during the cold snap. 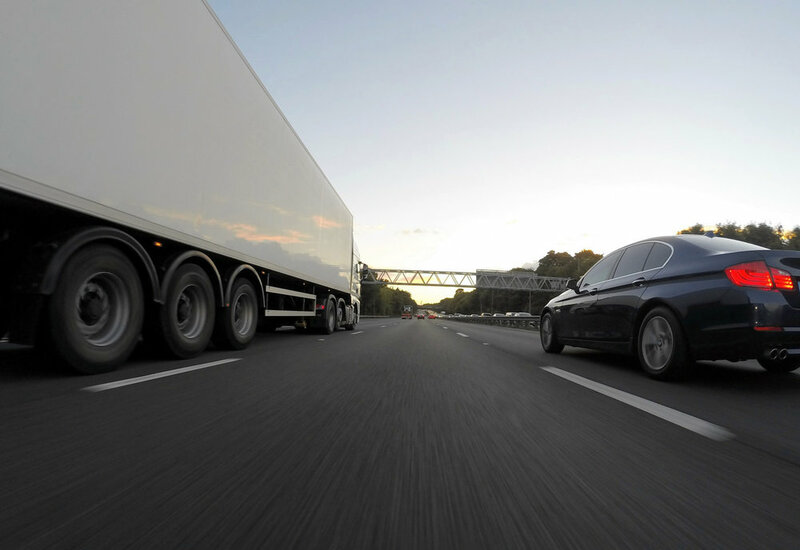 Government statistics show that more than 60,000 accidents were reported on major roads in the UK between October 2015 and September 2016, but if you follow this advice, you'll improve your chances of staying safe and secure on the public highways. You often hear complaints of ‘middle-lane hoggers’, which is typical of people not adhering to Highway Code guidelines. If the road ahead is clear, you should always drive in the left-hand lane and when overtaking you should return to the left as soon as you’re safely past. Contrary to popular belief, the left-hand lane is not simply for HGVs and coaches - everyone should use it. Make sure to indicate and check your mirrors and blind spots when overtaking. While a hard shoulder might seem like a suitable place to stop, it shouldn’t be used as a rest spot on your journey. You should only use it in the event of a breakdown or when directed to do so by police, uniformed officers, or by signs. The hard shoulder should be seen as an absolute last resort – for breakdowns or emergencies only. Common bad practices such as tailgating, undertaking and cutting up other drivers are ill-advised. Statistics indicate that tailgating causes a third of all crashes on the road, yet these could easily prevented if enough room was left between cars. The ideal way to judge this is to allow 10 feet of distance between the car in front for every 10mph (eg, 70mph would require 700 feet). Motorway driving is the perfect opportunity to drive more economically. Not only does it save you money, but you are also helping the environment by reducing emissions. Aggressive braking, accelerating, and frequent gear shifting are all ways to use up fuel unnecessarily. You should maintain a consistent speed for optimum fuel efficiency. If you have an fuel consumption display, pay close attention to it – target your ideal MPG and adjust your speed accordingly to make long-term fuel savings. Reducing weight by removing roof racks or unnecessary luggage makes a big difference to the amount of fuel used throughout a journey, as does improving aerodynamics by keeping windows and sunroofs closed. Adopting Eco-driving practices in general can help reduce wear and tear on your car. There are certain signs you may be more likely to see on a motorway and it’s worth making sure you remind yourself of these before setting out on a journey. For example: amber flashing lights are a warning for a hazard of some kind on the road. If you’re confronted by amber lights, you need to adjust your speed and look out for the hazard until you pass a signal that gives the ‘all clear’ sign. A potential hazard could be temporary maximum speed limits, lane closures or the need to exit the motorway at the next exit, when accompanied by an arrow pointing to the left. When following temporary signage on the motorway, signs which have a yellow background and either a hollow black square or circle, or a solid black triangle or diamond shape are symbols which show emergency diversion routes for motorway and other main road traffic. Whilst heavy rain and fog are known to create more difficult conditions on roads, some motorists do not always adapt their driving style accordingly. In heavy rain, always slow your vehicle down and leave more room between the car in front as your stopping distance increases while your control is reduced. At 70mph in good conditions, a car’s stopping distance is 96 metres, or 24 car lengths. In wet conditions this will be at least double, and in icy conditions the overall stopping distance will be at least ten times this. 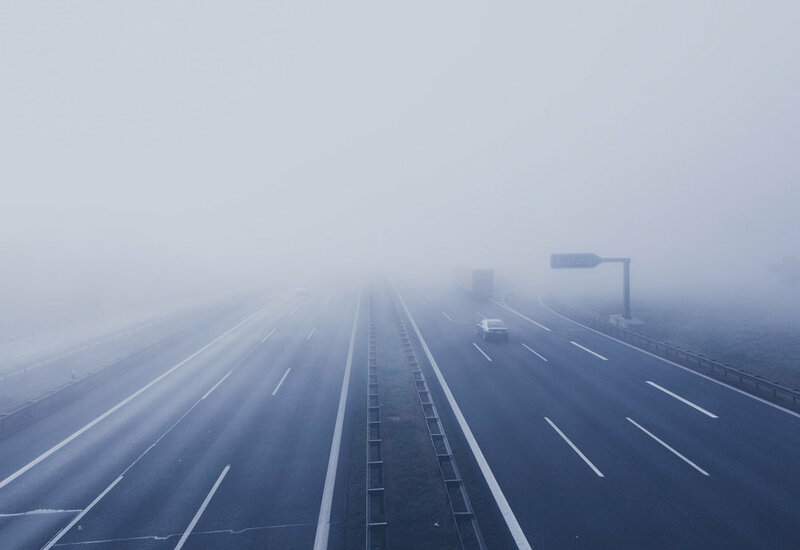 When it comes to diminished visibility, your fog lights should only be turned on when visibility is below 100 metres. For the benefit of other drivers, it is better not to use rear fog lights, as they can mask your brake lights and dazzle other drivers. In the event of a breakdown, it’s important to try and get off the motorway if at all possible. If you can’t, make sure you stop as far over to the left as you can, with the wheels turned left. Turn your hazard lights on immediately and if it’s dark or foggy, keep your side lights on too. You and any passengers should leave the vehicle using the doors on the left-hand side and stand behind the barrier. You should keep any animals you have with you in the car – even if you have them on a lead as there’s a chance they could run off, which could be disastrous for your pet as well as other road users. Do not attempt to make a repair yourself, but simply call your breakdown provider and request assistance.